An acclaimed new theatre show is set to take H.G. Wells’ iconic tale War Of The Worlds and re-imagine it in an inventive and mesmerising way. Jarrow Hall hosts Newcastle-based theatre company Northern Stage’s version of the sci-fi classic on Saturday 13th October. 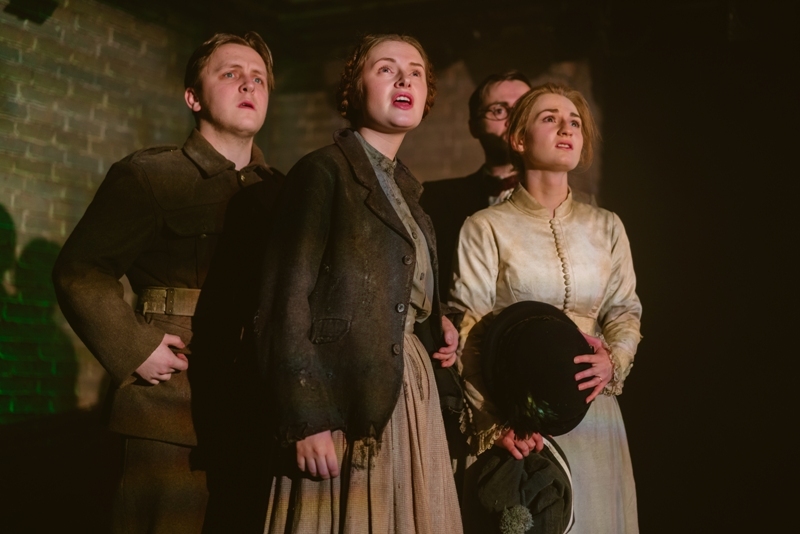 The much-loved South Tyneside venue is an ideal home for this awesome show, with the theatre company behind it known for fresh ideas that are immensely relevant and thought-provoking. It makes the first steps in an exciting new relationship, with a wealth of talent involved to bring this story of a Martian arrival on Earth to life. With the original tale of alien invasion over a century old and having had an incredible amount of creations from it, this new one is set to keep the tale firmly relevant and make for a really special evening’s entertainment. Event tickets are available from the Bede Museum reception, over the phone on 0191 424 1585 during public opening times, or online via www.jarrowhall.org.uk. For those who hold an annual pass reduced ticket prices apply.